Memphis Pluming TN, Barley Services, Kevan Barley offers competitive pricing for plumbing services. 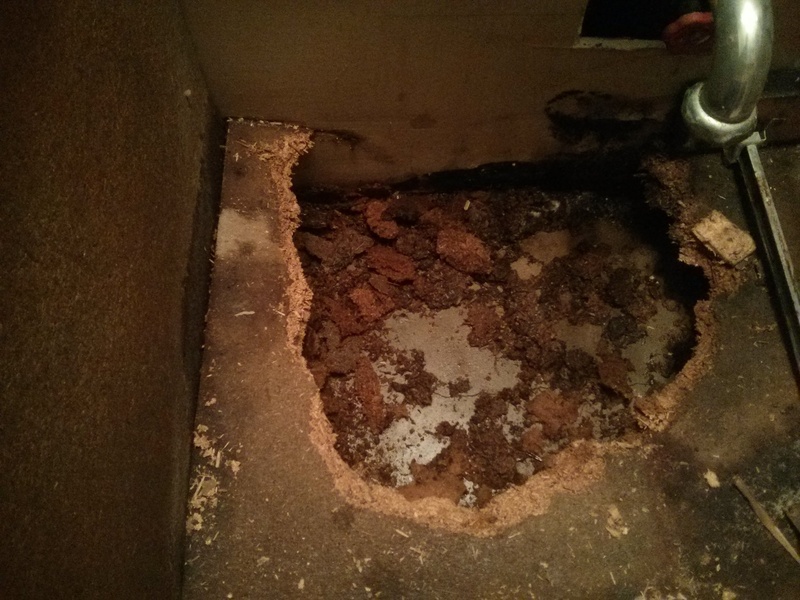 Drain cleaning, unclog toilets, water heaters, and remodeling. Serving the Greater Memphis area, in the North Eastern section. Over twelve years of experience in the plumbing business. Dear Kevan, Thank you so much for your well written article on Sewer Replacement Scams. I recently had a sewage backup in my basement. I called a plumbing company I had trusted for years (they used to be small and family run; now they are large and who knows). They sent the tech with the “roto-rooter” machine. He pulled lots of stuff from the pipe, including loads of toilet wipes. Yet he was not able to clear the pipe. “Needed to send the truck with the water jet and camera” ($650; I had no choice). He only charged me $65 for his failure. He cavalierly handed me an estimate for the repair…$10,500. Since then the company has called twice to ask when I would like to go ahead with the job. When I told them I would like to get other bids, the rep said, “We will beat any written price.” Red flag. Been 4 weeks without issue. I’m not saying I don’t have a problem; so I will watch it. However, it sure seems quite a bit like the scenario you wrote about. As time goes by, if it becomes obvious that this was attempted larceny, the plumbing company will have social media hell to pay. Thanks again for your alert. I recently got a call from a lady (Donna) who got my name from her air conditioning man. I can’t remember how he originally got my name. I recognized Donna’s street on the map, but nothing else rang a bell. When I arrived, she recognized me as the plumber she’d used seven years ago. She had lost my card and forgotten me. Luckily her a.c. guy put her back on the right track. Seven years ago she had gotten my name from her friend Gina. Gina had learned about me from Amy. Amy met me because her real estate agent sold her a house with a problem and he heard about me just in time to save thousands of dollars that another company was about to charge Amy for an unnecessary sewer replacement. That real estate agent was involved in his church’s governing board and, knowing I was a reliable service tech, sent me to his pastor’s house one evening for an emergency. Since then I’ve probably picked up ten customers from that congregation and referrals. There was a time when I remembered everyone’s pedigree, sort of like those lists in the Old Testament of who begat whom. The web has become far too complex now; I can’t keep track of the genealogies any more. Today I got a call from a student at the college where I taught ten years ago. He remembered thinking back then that I was a reliable person and today he sent me to an emergency at his parents’ house. I couldn’t count the jobs and customers and referrals that have proceeded from the people I met at CBU. This has all been done without “advertising” in the ordinary sense of the word. On July 31st, 2001, I sent out about 300 letters to potential customers, announcing the opening of my business and including a refrigerator magnet with my portrait on it. That was, indeed, direct mail advertising. It was also the last money I spent on advertising. The phone began ringing the next day and it has continued to ring ever since. I don’t ask people to call me; I’m too busy already. But when they call, I try to fit them in somehow. Often I have to give them the number of some other plumber because I can’t get to them anytime soon. I always dread leaving town now. Most people look forward to a vacation when they can “get away from it all.” Well, I’d like to do that, too, but I worry about my customers. If I’m not here, they’ll have to call someone else and they’re liable to get robbed. They rely on me and they trust me enough to send their friends and loved ones to me. Not letting them down is a matter of conscience with me. Maybe that’s why they call. Short answer: call me. It streamlines the process. Longer answer: don’t use the phone book. That was easy, I know. Nobody uses the phone book any more. I have to remind myself often that my own kids are in their thirties and there’s a multitude out there who grew up doing things differently than my generation. So let’s generalize the principle: don’t respond to advertising. Ads, by and large, are intended to deceive you. They aren’t trying so much to convey accurate and useful information as they are trying to make you think things that will move you to call the phone number. If the truth would do it, that’d be great. If the truth wouldn’t do it, then they’ll show you something else. For instance, they might show you a service tech who is clean, white, and slightly gray-haired, not too fat or thin. He won’t look like a plumber in Memphis, in other words. And who can blame a plumbing company for hiring models to deceive potential customers? Remember, ads cost a lot of money and somebody’s got to pay for them. The plumbing company doesn’t intend to bear that cost; they intend for you to bear that cost. That’s why you’ll pay them double or triple what you’d pay me. Ads also feed you a lot of *ahem* fertilizer. They show you various phone numbers for different parts of town — but they all ring the same phone. They show you a special number if you need emergency service — but it, too, rings the same phone. They offer discounts and coupons, but no way to verify that they haven’t made up the difference by slightly adjusting the price upward first, which can be accomplished in any of fourteen different ways. Ask any receptionist at a plumbing shop, “What question does a customer ask the most?” Every receptionist, without exception, will answer instantly “What does it cost?” There are about 3,000 counties in America, and every one has at least one plumbing shop; some have fifty. Two hundred thousand receptionists answering the phones five days a week, and they will all give you the same answer. So what does every shop say in its ads? “Fair, reasonable pricing,” or something to that effect. “You know the price before we start.” That, my friends, is no comfort. They want you to think good things about the cost so you will call them instead of a competitor, but what you read or saw in the ad has nothing to do with how they price their services. They may claim to answer the phone around the clock, but that is farmed out to an answering service, and it may be in an office a thousand miles away. I’m serious! The operator will make an appointment and then call some dude in your town who’s totally asleep, wake him up, and give him the bad news that a job has come in. He’s likely to call you back and explain that he has two jobs ahead of you and can’t get there for three more hours. Then he goes back to sleep. How do you choose a plumber? Ask your friends, your coworkers, your car mechanic, or any other sentient life form that might have had some dealings with plumbing repairs. In short, get a referral. I’ve seen online recommendations for companies I’d never recommend, so I’m afraid a satisfied customer whom you don’t know is not automatically a reliable source. On the other hand, I have gotten quite a few customers who found me listed on their neighborhood’s web site. I haven’t examined those sites (one usually has to be a member to gain access), but they seem to be more reliable because the people involved know one another. I’d guess that 95%-98% of my new customers find me through word-of-mouth. Maybe four a year find me through this web site and maybe ten through neighborhood web sites. My Yelp listing (which is free) pulls zero most years. I don’t craft my reputation, I just allow it to be what it is. Look for a plumber who doesn’t have to advertise. To my knowledge, I have become the first and only plumbing shop in Memphis to accept payment in Bitcoin. This is a continuation of the pattern I began in 2001 when I became the only plumber in Memphis who accepted the Diner’s Club credit card. I think I processed only one transaction via Diner’s Club, but I enjoyed the idea of using a card with such a name on a sewer-cleaning call. Bitcoin is different. There’s nothing absurd about using it to pay for plumbing services or for anything else. I like the idea of cryptocurrency mostly because it gives some people the heebie jeebies. If Bitcoin succeeds, I’d like to be in when it happens. If it fails, at least I can say I tried. Bitcoin has been falling in value lately. Nine days ago I placed an order for 1.00 BTC at $391. Luckily, a few days later, the agent (Coinbase) canceled my order due to some dumb technicality, so I didn’t see my investment drop to $359, which was the price this past Monday, the day on which I placed another order for 1.00 BTC. It is now Thursday night and Bitcoin is currently valued at $344. Oh, well, nobody ever said that revolution would be easy. Glacier Bay is the “house brand” for Home Cheapo’s plumbing fixtures. In other words, it’s just a label they slap onto some disgraceful junk made by Hu Flung Dung far across the ocean. Glacier Bay is good at making their stuff look presentable. A hapless shopper wouldn’t know the difference. Six months later it’s gonna look like it’s been through the war; but on the shelf at Home Cheapo, a Glacier Bay faucet looks pretty good. But it isn’t good. It’s bad. Bad, bad, bad! I found one on a customer’s sink one day, dripping woefully. Customer said it was installed about a year previously. I took it apart and found that the actual cartridge had broken. (The cartridge is the internal part under a hot or cold handle.) I had never before seen a broken cartridge, especially not one that had barely seen one year’s worth of residential use. And get this: I took it to Home Cheapo to buy a replacement and was informed that such cartridges were not available any more. The customer had to buy a whole new faucet. You can bet the new one wasn’t a Glacier Bay. Tonight I got to a house where a Glacier Bay faucet had been leaking internally for quite a while and dripping into the cabinet below. Don’t you make the same mistake. This scam has been circulating in Memphis for a while. Today I got another postcard in the mail, advertising it. Customers have asked me about it. The ad begins with the polysyllabic trigger word “failing infrastructure,” as though America is crumbling from the shorelines inward. All they’re referring to is that your plumbing might break, duh! Even people who voted wrong in the last presidential election probably know that already. You can figure it out by studying the trucks that go around in your city. Do you see any with decals indicating that the driver is a plumber? Well, just a little higher-level thinking will tip you off that he probably makes his living fixing broken plumbing. It happens. Next revelation: repairs cost money. I will just leave it at that. Punchline: these postcard-mailing bloodsuckers will sell you an insurance policy that says they will cover the cost of the repair or replacement if your water service line has an emergency. As with all insurance, the question is “What are the odds?” Quite obviously, the company cannot make money unless the odds are in their favor. In this case, however, the game is rigged; it isn’t even fair. The odds of anybody needing this coverage are pathetically small. Your water line is fine! Save your $60/year in a jar somewhere for when you really need a plumber. This company, by the way, is just one more “home warranty” provider and the water line scare is a low-cost gateway for them you upsell you later. I mean, if you’re going to cover your water line, then why would you leave your air conditioning system at risk? And your indoor plumbing and drains? And your appliances? And your computer? And . . . and . . . and . . . .
Home warranties are a bad deal. They’re overpriced and usually the service techs they use leave a lot to be desired. Many customers have told me of their bad experiences with home warranty companies. Yes, sometimes they’re a godsend and sometimes people hit a jackpot at the casino. I recommend neither. It isn’t hard to understand how to be a super hero in the service business. If you just show up on time and keep your word, you’re already 90% there. Admittedly, keeping your word isn’t always easy. Sometimes it can even cost you money. When Proverbs 15:4 describes those who are accepted by God, it includes “He that sweareth to his own hurt, and changeth not.” It’s a rare trait. In my opinion, the remaining 10% of being a super hero is mostly desire. For some reason, I want to help people. That makes me go out at night when I’d rather stay home, keep trying to find a solution when I’d rather give up, take extra time on a job when I’m already losing my shirt. As I said, it isn’t hard to understand. As a comparison, it isn’t hard to understand how to be slender: except in cases of medical abnormality, it’s just diet and exercise. Yet, everybody’s still fat. Likewise, plumbing companies struggle to stay afloat and try to compensate for their failure with expensive advertising and rapacious pricing and overselling. Their customers hate them, but they keep using them (unless they discover me) because, like abused children, they think that’s just they way the world is. “They told me they need to dig up my sewer and replace it.” I’ve lost track of how many times I’ve gone through this with a homeowner, but it must have been scores. Ninety percent of the time I’ve found it to be a scam. The Electric Roto-Rooter Machine was invented during the Depression so that people would be able to unstop a clogged sewer “without putting a GRAVE in your yard” (and they would display a picture of a trench going through a yard). Nowadays there are many makes of sewer machines in addition to the ones made by Roto-Rooter, but they all do the same thing: a cable with blades on its end is pushed through the sewer pipe to cut up the stoppage so that it can be washed away or, in some cases, retrieved. If the machine simply can’t accomplish the task, then surgery is necessary. Why might a machine fail? To tell the truth, a lot of the time it is incompetence on the part of the technician. It is also possible for a root stoppage to just be impervious. (This is very rare in Memphis.) Most of the time it is a problem with the pipe: broken, caved in, or separated and displaced. The tech should be able to show the homeowner the evidence in the form of mud caked up on the blades, indicating that the blades have left the pipe and gone into the surrounding soil. Unfortunately, we have a tool for larceny that was unavailable when I began cleaning drains in 1990: The Camera. Running a camera down a sewer line is roughly analogous to showing a car owner the metal filings from his transmission. (Such filings are normal, not proof that the transmission needs replacing.) A homeowner is made to think that the camera is a benevolent gesture on the part of the plumbing company for more precise diagnosis. Au contraire, mon sewer, plumbing companies know that it is really a sales tool. When a plumbing company gets a call for a clogged sewer, everybody’s ears go ka-ching! The camera goes into the van and the raid is underway. At the house, the tech runs a sewer machine and cleans the drain (hopefully he does a good job), then he offers to run The Camera at no extra charge. The customer watches the little TV screen during the performance. Have you ever seen the security camera recordings of a robbery at the Quick Stop? They’re usually pathetic. You can clearly see that the robber has two arms, two legs, etc., and may be black or hispanic, or maybe not. Sewer camera results tend to be like that. Techs like it that way. Why? Because they aren’t trying to learn something, they’re trying to sell something. Many of my customers have asked me “should I get a camera to look down the pipe for problems?” Ordinarily my response is “I got my blades all the way through and back. If there were a problem, I would have felt it.” When I’ve hit mud (a sad day) and they ask the same question, the answer is “we already know it’s broken; otherwise I couldn’t dig into mud. The camera won’t add any useful info.” A good drain tech basically NEVER needs a camera. There are exceptions, but they’re rare. A tech trying to sell an unnecessary sewer replacement, however, ALWAYS needs a camera. It may not provide him with any useful information, but it can certainly bamboozle a customer. Mr. Smith, this line just needs replaced. You got roots coming in everywhere and it’s just gonna get worse. It’s breaking, it’s sinking down. I mean, my God, it’s sixty years old. Every time we come out it’s costing you $200. You’d just as well as to go ahead on and replace it now and cut your losses. This oughta cost seventy two fifty, but we’re slow this week and I know I can talk the boss down to sixty five hunnerd if you’ll do it this week. And we even give a senior discount on top of that. Last week I replaced a sewer for $4,500, and that was underpriced a little. (You never really know what kinds of problems you’ll encounter when you undertake a project like this.) The owner called me originally because another company had said the line needed replacing. I cabled the line and found no problem. But this house was for sale and the buyer insisted on the sewer being replaced first. Great expense, thanks to The Camera and a plumbing company without a conscience. I was so impressed with the level of professionalism and conscientiousness of Mr. Kevan Barley of Barley Services. I was desperate with a plumbing issue, and I had guests in town during the holidays. I called Mr. Barley and he came promptly and worked diligently until the problem was solved. He was also very friendly, personable and knowledgeable of plumbing situations, and he gave me a pretty accurate estimate of the cost of the work when I described my situation to him over the phone. His price was very fair and reasonable, considering that he worked outdoors in the rain and after dark until the work was finished. I didn’t skip a beat with entertaining my guests, and he turned a potentially awkward situation into an easy fix. My guests were not inconvenienced in any way. I appreciate his diligence and personal attention in solving my problem, and I will definitely call him again and refer him to ALL of my friends and neighbors. If you have any plumbing issues, I recommend that you call Mr. Barley first. He will be fair, reasonable and prompt.